The proportion of public sector executives who are women has been increasing steadily over time. 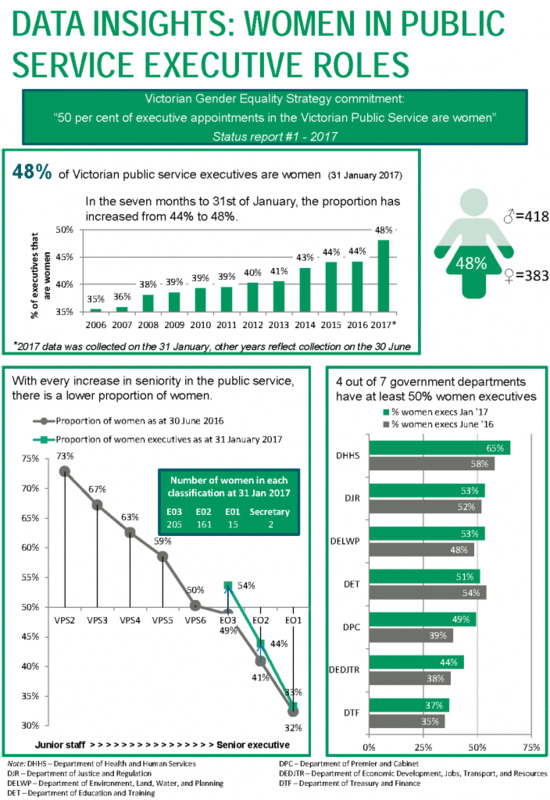 In the departments and agencies that comprise the Victorian public service, the proportion of executives who are women has increased to be 48% at January 2017, up from 35% in June 2006. Women now form a clear majority of executives at the EO 3 level and at four of the seven departments. However the proportion of women executives varies significantly between departments, from a low of 37% to a high of 65%. Women represent 39% of executives in public entities at January 2017, up from 31% in 2011. The number of women executives has increased in each of the five industry groups, but are close to or above parity in only two. 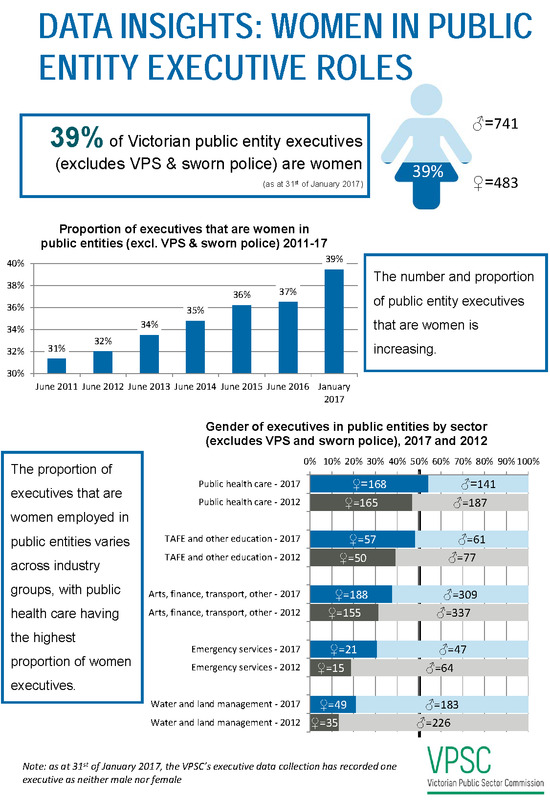 This data is sourced from information provided by all public service and public entity employers in the executive remuneration data collections conducted by the Victorian Public Sector Commission as at 30 June of each year and at 31 January 2017.